I Am The International CMA Modern Country Male Vocalist Of The Year 2008-2009. I Am Also A Studio Session Player. 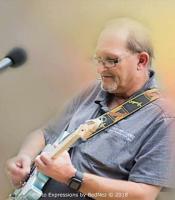 Presently Doing Tracks For Various Studios And Lead Guitar Work at Concerts For Various Artists From Rock To Country. Worldwide and nationally known International CMA award winning artist Norman Avey is one of the most respected and talented musician across the world in the country and rock field. Born In Guthrie Center Iowa November 18 1960. Parents are Norman Edward Avey and Charlotte Lorraine Avey and his brother Mike Avey. He is a 1979 graduate of Carroll High School from Carroll Iowa which is his hometown. Norman is also a certified Microsoft computer programmer and an IT Specialist. Mr. Avey is also the CEO/Owner of the Gars Space Agency which will be re-launched in 2018. He has played on over 500 albums from rock to country. Voted one of the top guitar players in the world by the International Music Association and Who's Who In America. Norman is also a very talented songwriter. His main songs he has written are, Far Away, The Way It Use to Be, I Miss Her So, Race On, Lady In The Night, and has co-written 100's of songs from across the world. Norman Avey is also a Nashville Musicians Association 257 Member. It is one of the most respected musician's union in the world. Norman is also The International CMA Modern Country Male Vocalist Of The Year 2008-2009. Norman's signature guitar playing is currently on 75 of the top musical hits from rock to country across the world. Not only does Norman play guitar, but he plays drums, bass, piano, clarinet, saxophone, trumpet, steel guitar, and fiddle.